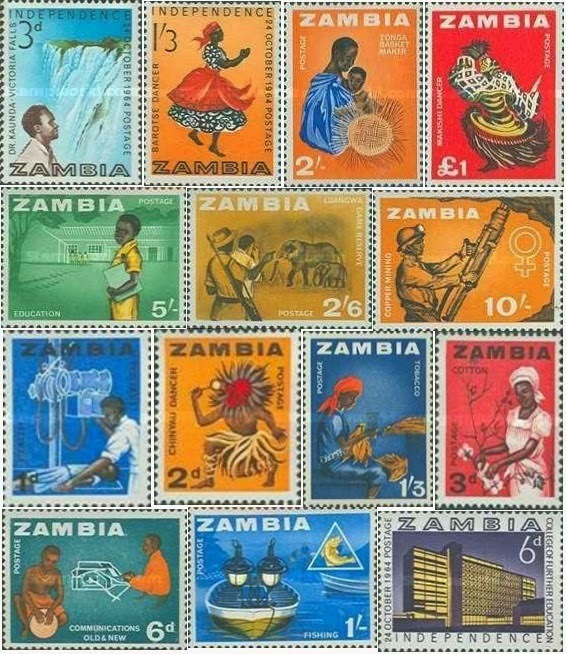 As a personal contribution to the celebration of Zambia’s golden jubilee, Kitwe-based stamp collector Kamal Patel will be touring his collection that includes all but one of every Zambian stamp produced over the past 50 years. Next week, on October 29, Lusaka viewers will get to see the exhibition from 9:00hrs at the InterContinental Lusaka, although the display will only be up for a day. Some of the earliest stamps, a series of 14 produced on Independence Day in 1964 depict the buzz of a young nation, full of hope and prospects of growth. They illustrate aspects of Zambian industry, fishing, agriculture, wildlife, tourism and of course her mainstay, mining. Others are portrayals of education, health, new buildings, crafts and dance. “I started [collecting] in the early 1970's when every kid in school collected either stamps, coins or rocks. In those days we did not have all these electronic games nor did we have that many TV channels so one had a collecting hobby,” explains Patel on how he started the extraordinary collection, often by tearing them off letters and envelops from all over the world when he was just nine-years-old not realizing that a childhood hobby will become a lifetime commitment. True, the pastime may not be as common as it was during the pre-Facebook era of pen pals, and as Patel rightly points out, an entire generation of school-going Zambian’s were inspired to collect as they were also involved in letter writing, many – the author included – inspired by the American TV show Big Blue Marble screened on ZNBC in the 1980s that encouraged intercultural exchange among children all over the world. Nevertheless, the Kabwe-born businessman, who grew up on the Copperbelt attending Kitwe Primary and Lechwe from 1973 going onto Kitwe Boys Secondary School in the 1980s after which he joined the running of a family business, says over the years he has had constant support from his parents, older brother and eventually wife and staff. “When I got into secondary school I started concentrating on Zambia. Most of the stamps were obtained from the Philatelic Bureaus [stamp collection agencies]. Then came the internet and online shopping that helped me to obtain the earlier stamps that I did not have and tried to complete my collection. Recently I have also started collecting items that related to Zambia Postal History like old envelopes sent from Zambia, old air letters, postcards, old photos of various post offices across Zambia and any item related to posting and Post Offices,” he adds. In fact here, one is reminded that pictures of Zambian Post Offices and Railway stations of a certain period are particularly rare owing to the fact that from the 1970s through the late 1980s it was illegal to take any pictures at these sites, for security reasons. SAHO also chronicles that in September 1987, another parcel bomb exploded, killing one person and injuring seven others as postal workers unloaded a train from South Africa. Such was the sensitivity around postal related sites when Zambia was the headquarters of ANC during the liberation struggle held strong by Dr Kenneth Kaunda. It is not just about accessibility of photographic equipment, but those days one could not just take photographs or “selfies” in front of the central Post Office in Lusaka a site where in December 1985 a member of the ANC lost his left hand in a letter-bomb explosion, which was as shocking then as it would be today in a country whose citizens have always been accustomed to peace. Nevertheless, back to the present, Patel admits that the hobby may have fallen off because more and more people are using the internet and emails so less stamps are being used and less postal mail is being sent. While there are no hard rules, Philately does have its technical aspects such as First Day Covers [special issues] and Mints [stamps that have never been posted], extremely rare collectables. It turns out that depending on the situation, a single stamp such as the Treskilling Yellow a rare Swedish stamp from the 1800’s can cost up to US$2 million. “It [stamp collecting] is a dying hobby and will remain in the hands of a few. The new generation is so used to the electronic media so they do not even know what a post office is and the charm of sending a letter or receiving one,” he explains. This will not be the first time he will be showing his collection having done it on a smaller scale in 2011 for Kitwe viewers only, just to test the waters on how such an exhibition will be received as well as what the logistical challenges would be. “I think they [Lusaka viewers] will react well it’s a showcase in to the past. I feel that stamps were the only thing that showed the world what the country is doing, we have stamps on natural resources, special events of the country and of special events of the world,” he adds. In actual fact, stamps and postcards provided people overseas snapshots of a country before the advent of Google. “It is also an expressions of artists who try to capture events or an issue into a small piece of paper. Yes I am exhibiting these stamps but I am just bring forward the artistic element in them, and at the same time my small contribution towards the 50th anniversary celebrations,” most of the post-independence stamps were illustrated by celebrated Lusaka artist Gabriel Ellison to whom the design of the national flag is also attributed. He believes the general public, schools and artists should take advantage of going to see the exhibition, declaring not only will it teach them a few things but will definitely bring back memories, he will also be present to say a few words. After the Lusaka show, he is moving it to Ndola’s Simba School where it will be on display on the 6th and 7th November. The Kitwe and Livingstone venues and dates have not yet been confirmed. The events are being made possible by the joint sponsorship of Mukwa Lodge Ltd in Kitwe and the Lowdown Magazine in Lusaka. 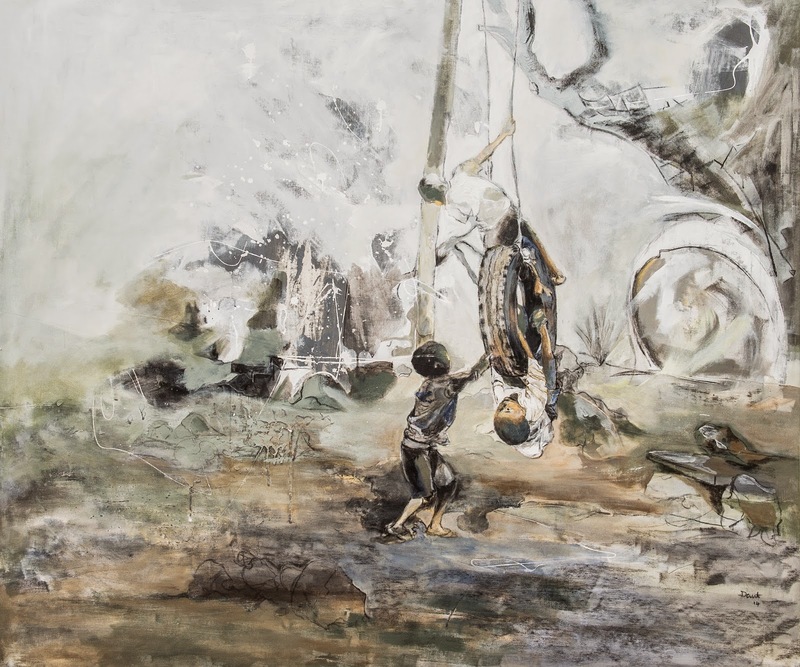 Patel’s exhibition is a timely commemoration, who would have thought a nostalgic glimpse into the past, could be provided by squinting at tiny pictorial gems from a bygone era that provide an elaborate tapestry of Zambian history. 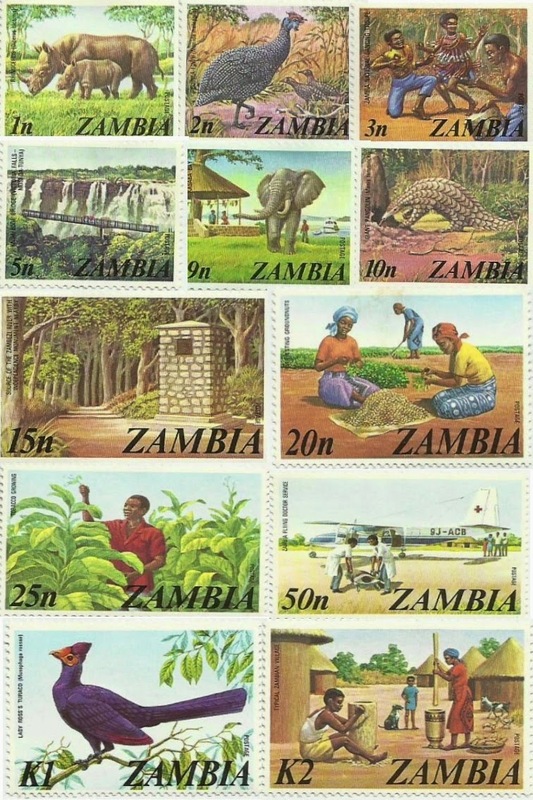 The images are void of political differences, poverty, disease and corruption, they permeate the often cruel realities of daily life that many Zambians experience, therefore providing a transcendence into a somewhat mythical Zambia, a utopia which echoes those all too familiar words “Land of work and joy in unity”. Patel may not realize it, but he is a hero of heritage and we should be respected for his effort of share a collection of a lifetime. Meanwhile, the Visual Arts Council of Zambia (VAC) have announced an extra ordinary Annual General Meeting to be held between 09:30- 12:30hrs on 29th November, at the Henry Tayali Gallery in the Lusaka Show grounds, all members are encouraged to attend. 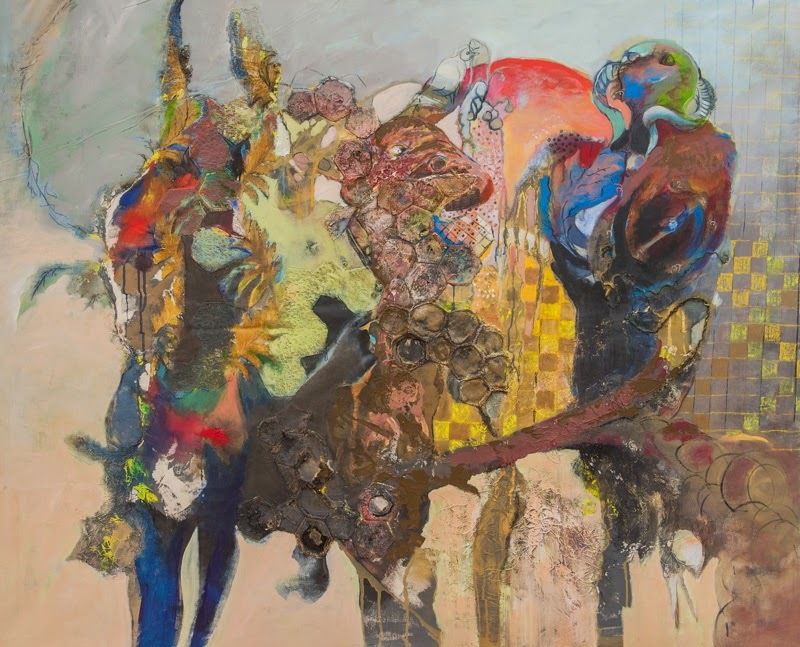 Artist, David Makala describes Metamorphosis, the recent two-person exhibition alongside Natasha Evans at the 37d gallery in Lusaka as a terrific learning experience, much more than he expected. Although he was reluctant to mention the benefits business-wise he insists the feedback was highly motivational plus it also got him into the respectable Lechwe Trust Collection, an honour sought-after by many a Zambian artist. He has been at it for just over seven years, but the unassuming change is reluctant to declare himself as someone who has arrived artistically. “I’m still new on the scene, maybe in the next three years, when I will have been working for ten years, but for now I’m still learning. There is a lot I must do, look, there are some people who are no longer on the art scene but you can still see their influence,” he says referencing Rockston Studios legend David Chirwa. He explains that his strength to develop as an artist has been through his ability to collaborate, share experiences and learn from others, finding this the time when he is at his most creative. “You need the hand of fellow artists because of their experience. I’m not scared of anyone running away with my ideas, I’m really just a grain of sand on the banks of a river, a tiny part of the bigger picture, knowing this has helped me come this far and will take me forward,” he adds. Examining the course of his artistic journey confirms that he is a team player who is always equal to the group challenge at hand. 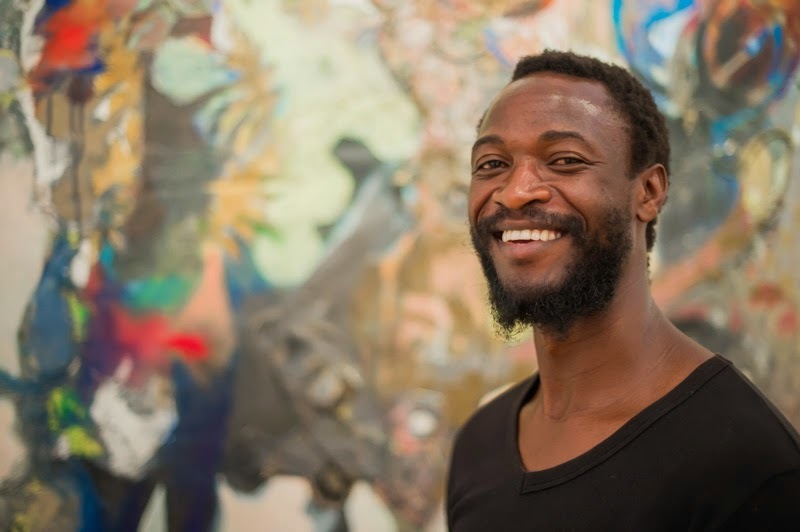 Late last year, he was a key player in the construction of a towering Christmas tree made of 9,000 discarded plastic bottles alongside fellow artists Mwamba Mulangala and Vandita Varjangbhay at the Swedish School in Lusaka. The tree was designed by celebrated Zambian sculptor Flinto Chandia and assembled with the aid of 31 children from the Lubuto Library, Mulele Mwana, Chikumbuso, Open Arms and Pestalozzi orphanages in a community outreach project by the stART Foundation. When lit up, the three storey tree was a crowd-puller at Arcades Shopping Mall throughout the festive season. 2006 was perhaps the busiest year during the launch of his career, he had just attended the August Studio workshops organized by Mulenga Chafilwa for upcoming artists with the Zambia Visual Arts Council, joined the Arts Academy without Walls and also worked with his close friends who were involved in launching Alexis Phiri’s Kachere Art Studio. ROXS is still operational although the initial team that also included Othenial Lingwabo a prodigious school leaver at the time has disbanded. Lingwabo has set up base at a small holding in Chongwe where he still produces impressive works of steal on wood that he exhibits in Lusaka. Masango, originally from Zimbabwe is now based in Paris, leaving the Phiri brothers occasionally joined by Michelo to run the space. Primarily a makeshift sculpture studio, they produce contemporary marble works and ornamental tombstones. 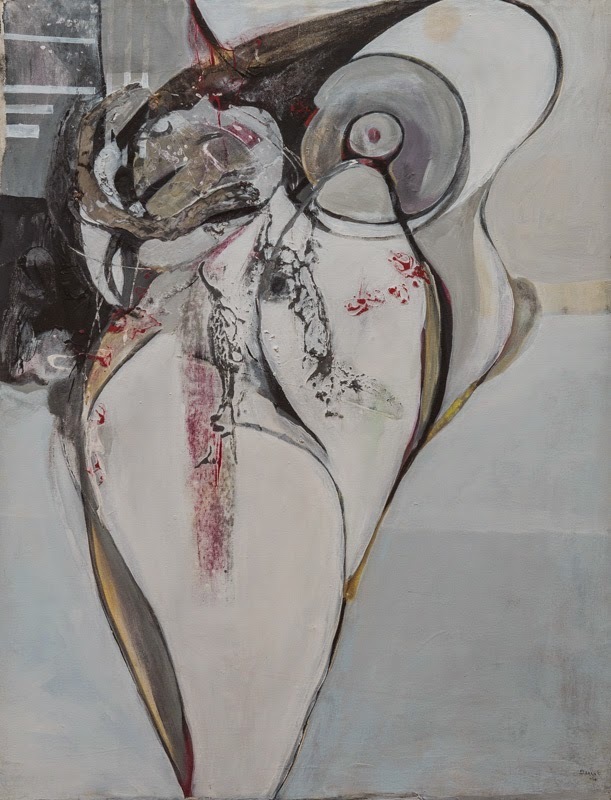 The passion to collaborate and work with others has left an indelible mark on his work often making it hard to pin down in terms of a signature identity, but his recent investigations into abstraction reveal a free spirit that dashes away from his comfort zone, away from the herd. His energetic and unconfined brush strokes, general rough handling of paint with thick impasto compliment an impression of a wild if not turbulent freedom that also echoes in his deliberately unkempt personal appearance, wearing a scruffy beard and shaggy hair. This is however countered by a warm personality as he is often cracking jokes and laughing out loud. Makala lives the true life of a Zambian artist, by instinct always hoping for the best and trying to improve himself professionally without blaming failure on the lack of resources and support structures. He is yet to have his shot at international exposure but is gunning for residencies and workshops abroad already having a few applications in place, one can only wish him the best hoping he maintains the forceful energy and no doubt when the opportunity shows itself he will represent himself and his country well. “What’s happening elsewhere is as important as what's happening locally, the more dialogue we have the more we will learn as artists, as people, and as communities, the opportunity to re-draw cultural and artistic maps, to remove boundaries and to create new relationships between different artistic centres” says Makala the 30 year old who was born and raised in Lusaka, attended Kabulonga Secondary School. It has been a familiar sight over the past six months, but have you ever taken a purposeful look at it or wondered how we arrived at Zambia’s 50th anniversary logo, or simply the “Jubilee logo” as it is being called. Without doubt it is the country’s most important work of graphic design since prominent independence emblems such as the flag and coat of arms. Justifiably, it was even granted an official launch by Cabinet Office at the Mulungushi Conference centre on 22nd march 2014 before senior government officials, ambassadors and chief executive officers from the private sector among other distinguished guests. In her official speech, officiating at the ceremony, Permanent Secretary Administration, Cabinet Office, Annie Silungwe described the event as the launching of “a new visual identity”. She declared that the logo is intended to be the "face" of the celebrations and that it is a graphical display of the country's unique identity, through the national colours and symbols as the chief visual component of the celebration’s overall brand identity. Yet, looking at the whole process one is drawn to feel that the six-day period for advertising and submission of entries for a competition of this importance was too short, how many Zambians even heard of it? Did it feature on as many radio stations and in as many newspapers as possible? Was it widely publicised in schools for instance? If the younger generations of Zambians are not in the majority, they certainly are among the most imaginative and would have certainly gone to town with such a contest if it was given to them long before hand, it is not as if people did not know when the jubilee celebrations would occur. That aside, ironically, the first point under an “Intellectual Property” list for the competition states that “All submitted work must be original and not based on any pre-existing design.” But just one look at the logo reveals its absolutely embarrassing resemblance to the imperialist coat of arms of Northern Rhodesia which is said to have been design by a draughtsman from Britain’s Royal Navy, stationed in the Western Cape of South Africa. There is no telling why the British imperialists adopted the fish eagle clutching a fish in its talons as the emblem for this land when they governed it on behalf of the locals, but one can suspect the birds continued usage on national symbols is partly because these emblems too were designed by the setller’s descendants, who may have still been attached to the bird just as the group that still flies the colonial flag and coat of arms on their nostalgic website The Great North Road, dedicated to the diaspora of “Northern Rhodesians Worldwide” – a good number may be the whites who could not adapt to the integration with blacks. Anyway, it appears the designer of the jubilee logo could have made quick work of the task using graphic design software. Including the time to Google the image of an eagle to trace over, place the figure 50 in the typeface Times New Roman Italic where the fish is supposed to be, throw the national colours in a circle as a backdrop and add “1964 One Zambia one nation 2014” on a golden ribbon at the bottom, it probably took the “artist” 15 minutes to design and that much time to etch his way into the history books for creating something that celebrates 50 years of independence. By any guess, it was probably designed with one hand, on a mobile phone during breakfast or any other activity, but anyway, perhaps there is no need to be downright cynical. But seriously, looking at the whole logo it betrays the concept of the function for which it is intended, freedom. It is an outright mockery not only of 50 years of freedom as a nation, but it celebrates an enormously unimaginative sense of creativity and the cosmic proportions of ignorance that the so-called panel of judges, the Zambia@50 Secretariat and government officials possess regarding the symbolism and the digging into history is concerned. The purpose of this article is not entirely to question the creativity of the designer, but it serves to question the moral validity of the logo and the resourcefulness of the handful of individuals that sanctioned it on behalf of the Zambian people. But ultimately this article serves as a testimony to generations of Zambians to come that not everyone agreed with the second-hand design of the logo and 50 years from now, may the Zambian’s that will be alive for the 100th Anniversary learn from the pitiful mistake that is the Zambia 50th Anniversary logo. Let them take more time on it and if they are going to use a competition let them make it more transparent and more accessible to the general public. The Golden Jubilee celebrations are being held under the theme “Commemorating God’s Favour of Zambia’s 50 years of independence for continued peace, unity, democracy and prosperity”. Clearly, it appears God’s favour has not extend towards creativity if 50 years after independence we are still clutched like the fish in the talons of the colonial eagle. Perhaps for the settlers the eagle may have symbolized a spirit of adventure and the freedom to plunder, or perhaps its usage was literal and merely celebrated a real life bird that individual Zambian’s live lifetimes without ever casting an eye on (Livingstone Museum and The Copperbelt Museum in Ndola have preserved specimens of this magnificent bird).